Professor Yang Gao FIET FRAeS is the Professor of Space Autonomous Systems at the Surrey Space Centre of the University of Surrey and the Head of STAR Lab. She is an internationally renowned space roboticist, specializing in sensing, perception, navigation, control, autonomy and biomimetic mechanisms, demonstrated through real-world space mission development (e.g. ESA’s ExoMars, Proba3 and LUCE-ice mapper, UK’s MoonLITE/Moonraker, and China’s Chang’E3). She is the Hub Director and also the Research Theme Lead on sensors and perception (Theme 1). 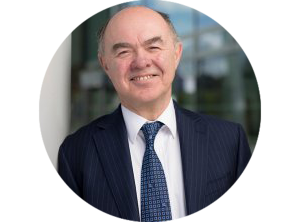 Professor Sir Martin Sweeting OBE FRS FREng FIET FRAeS is the founder of SSC and SSTL, is Distinguished Professor of Space Engineering at Surrey and a multi-award winner (such as the IET’s Faraday Medal, NASA-JPL’s Karman Wings Award and COSPAR’s Jeoujang Jaw Award) for his contribution to international space development. His extensive experience as both a university academic and a space industrialist allow him to effectively support the management, research and engagement programs of the Hub, and to help achieve the greater impact of the Hub expected by the Industry Strategy Challenge Fund. Professor Sethu Vijayakumar FRSE is Director of the Edinburgh Centre for Robotics and holds a Personal Chair in Robotics at Edinburgh University. He has world leading expertise in robotics, data driven motion planning, motor control, and optimization in autonomous systems, and his latest project involves a collaboration with NASA Johnson Space Centre on the Valkyrie humanoid robot being prepared for unmanned robotic pre-deployment missions to Mars. He is the Hub’s Research Theme Lead on AI and autonomy (Theme 3). Professor Guang-Zhong Yang CBE FREng FIEEE FIET is Director and co-founder of the Hamlyn Centre at Imperial College London and leads the EPSRC UK-RAS Network, which provides academic leadership in RAI, expanding collaboration with industry. He is internationally recognized as a leading roboticist pioneering key human-robot technologies including perceptual docking and inverse realism, and has created a wide range of robotic hardware platforms such as the i-Snake® and Micro IGES systems. He is the Hub’s Research Theme Lead on the human robot interaction (Theme 4). Professor Michael Fisher FBCS FIET is the Director of a multi-disciplinary Centre for Autonomous Systems Technology at the University of Liverpool, and is an internationally leading researcher in formal verification of autonomous systems, particularly safety, reliability and ethics. He leads the UK Network on the V&V of Autonomous Systems, and has led space RAS research on both formation-flying satellites and astronaut-robot teamwork with NASA-Ames. He is the Hub’s Research Theme Lead on system engineering research (Theme 5). Professor Samia Nefti-Meziani is the Director of Centre for Autonomous Systems & Advanced Robotics, and Chair of Robotics at Salford. She has 25 years of experience in the development of concepts, mechanisms and algorithms in the areas of embodied intelligence, soft computing and robotics and pioneered the first application of soft robotics systems in manufacturing. She is the Hub’s Research Theme Lead on mechanism and locomotion (Theme 2). Professor Carsten Maple FBCS is Director of the GCHQ/EPSRC Centre of Excellence in Cyber Security Research and Professor of Cyber Systems Engineering at Warwick. 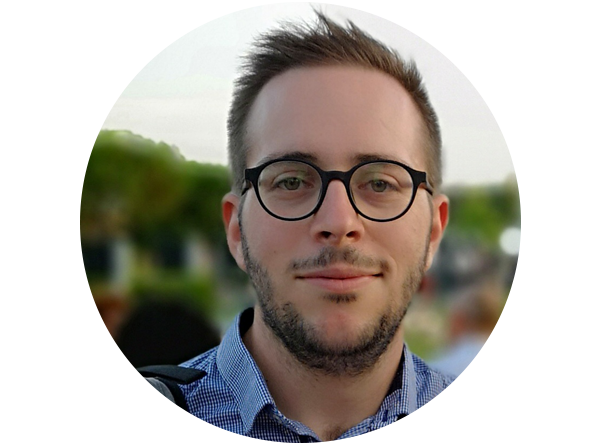 His expertise in developing secure, resilient and trustworthy systems is recognised internationally, being a High Level Advisor to the European Commission, and PI/Co-I of international robotics network projects like CAPRI and PETRAS. He contributes to the Hub’s Research Themes on trusted robotic systems (Theme 1,3&5). Dr Saber Fallah is a Senior Lecturer in Vehicle and Mechatronic Systems at Surrey and the Director of Connected Autonomous Vehicles (CAV) lab, specializing in advanced control, estimation and optimization for autonomous vehicles (Themes 2&3). Dr Zhibin Li is a Lecturer in Robotics and Control at Edinburgh, and leads the Advanced Robotics Group and a PI of Edinburgh’s Valkyrie Lab, focusing on robust control, optimization and machine learning for dynamic robot motion and behavior (Theme 2). Dr Robert Merrifield is the Deputy Director of the Hamlyn Centre at Imperial College London, and the Coordinator of the EPSRC-funded UK-RAS Network, the EPSRC RAS Capital Equipment Grant (>£6M) and the UK Robotics Week’s Robot Challenges (Themes 1&4). Dr Clare Dixon is a Reader in the Department of Computer Science at Liverpool and led the Department’s Robotics and Autonomous Systems Research Group from 2015-2017. She has over 25 years experience in the area of formal verification and automated reasoning (Themes 4&5). Dr Louise Dennis is a Lecturer at Liverpool and specializes in verifiable autonomous systems with an emphasis on agent-based reasoning, planning and machine ethics. She also has extensive experience with public engagement on robotics (Themes 3&5). Dr Alexei Lisitsa is a Lecturer in the Department of Computer Science at Liverpool. His research concerns automated reasoning, methods for automated verification, and computer security (Themes 3&5). Dr Steve Davis is a Lecturer in Manufacturing, Automation and Robotics at Salford. He developed the world’s smallest variable stiffness, high DOF dexterous hand and a low cost dexterous gripper capable of blind grasping (Theme 2). Professor Tim Watson is the Director of the WMG Cyber Security Centre at Warwick. He has over 25 years of academic and industry experience currently working on protection of infrastructure against cyber-attack applicable to space RAS (Themes 1&5). Visual based autonomous robotic grasping and manipulation. High-fidelity GNC system for space rover autonomous robots. Energy-efficient planetary drilling and sampling. Visual perception for on-orbit operations based on robotic vision and machine learning. Robust GNC for orbital manipulation. Planetary rover mobility for uneven terrains and loose soils. Reinforcement learning control of planetary rovers. Multi-Agent Systems, Multi-Agent Planning, and Formal Verification. Combining formal methods to reason about and provide certification evidence for robotics in hazardous environments. Complexity of reasoning and connections to knowledge representation, database theory, and formal verification. Astronaut helmet and spacesuit based on wearable technologies/AR. Analogue and digital electronics for acquisition, processing and transmission of physiological signals. Wearable sensors for astronauts body movements. Brain-computer interface and smart, dexterous space glove. Wearable exosuit for physical therapy and assistance to astronauts in space. Control and motion re-targeting on humanoid robot Valkyrie for tele-operation and manipulation tasks. Statistical Machine Learning and Motor Control. Heterogeneous wireless networks, complex network, and IoT physical layer security. Privacy, security and trust issues in space robotics and autonomous systems. Dexterous end-effectors and grippers, bionic systems, variable impedance mechanisms, robust control and artificial intelligence. Robotics, Electronics, Industrial control systems, Automation, Manufacturing, CAD/CAM. Mechatronics, Soft robotics, computer vision, Artificial intelligence.